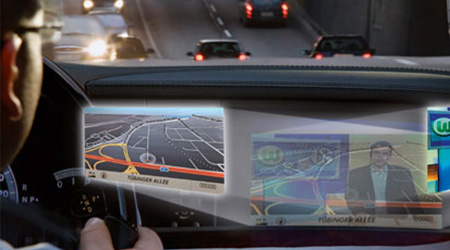 Which of these cutting-edge technologies has NHTSA rejected? The effort to make car travel more entertaining and productive, but not perilously distracting, has the auto industry walking a tightrope. 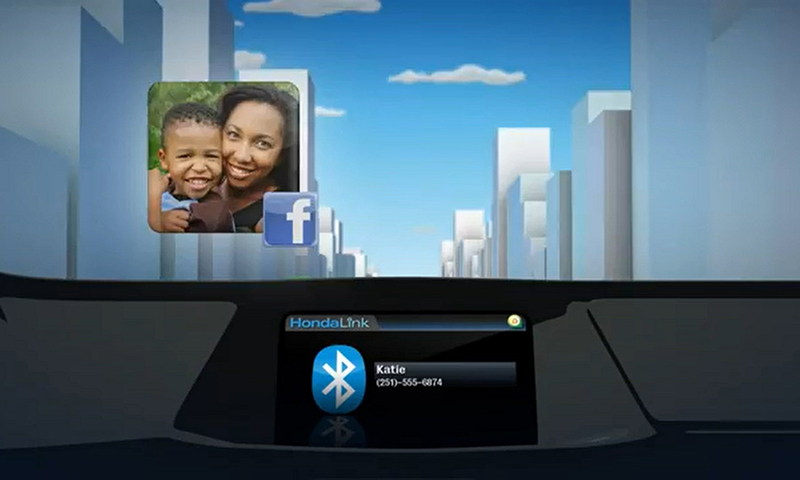 In most cars with Internet functionality, Web browsing is blocked from the moment the driver shifts out of park. Not in a Tesla. 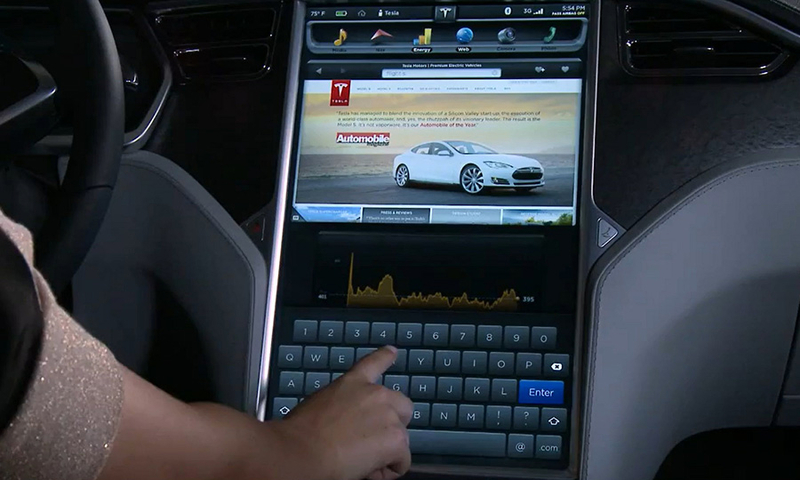 The electric-car company opted to keep Web browsing enabled while the Model S sedan is moving. After all, a front-seat passenger might want to use its expansive 17-inch touch screen, say, to search for a movie theater close to the nearest charging station while the driver stays focused on the road. But he or she won't be able to watch the online trailer. When the Model S is moving, its screen can't display videos, which NHTSA's vehicle safety standards prohibit within the driver's view.NHTSA's distraction guidelines, which explicitly prohibit Web browsing in a moving car, will challenge the iconoclastic automaker. On other regulatory questions, Tesla founder Elon Musk has taken the stance that his company will do what the law requires and that, beyond that, it will do what it considers best.Since the NHTSA guidelines are essentially voluntary, this one could become a standoff. One of the biggest fears for regulators is that status-update-conscious drivers will want to fiddle with Facebook and Twitter on their navigation screens.That function would be blocked by NHTSA's guidelines that specifically lock out social-media applications, but if drivers still want access to those applications on the road, they have one option: voice to text.The guidelines allow Facebook and Twitter apps like the ones built into Aha, a service owned by electronics company Harman and supported in certain Acura, Ford, Honda, Porsche and Subaru vehicles. 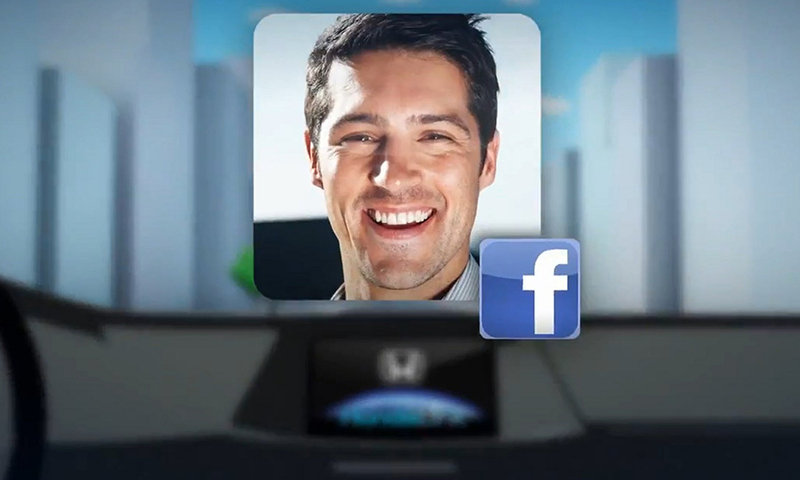 Aha's smartphone app, controllable through the vehicle's center stack, employs the phone's Internet connection to let drivers listen to updates from their Facebook and Twitter feeds, as well as post updates from the road as audio clips. 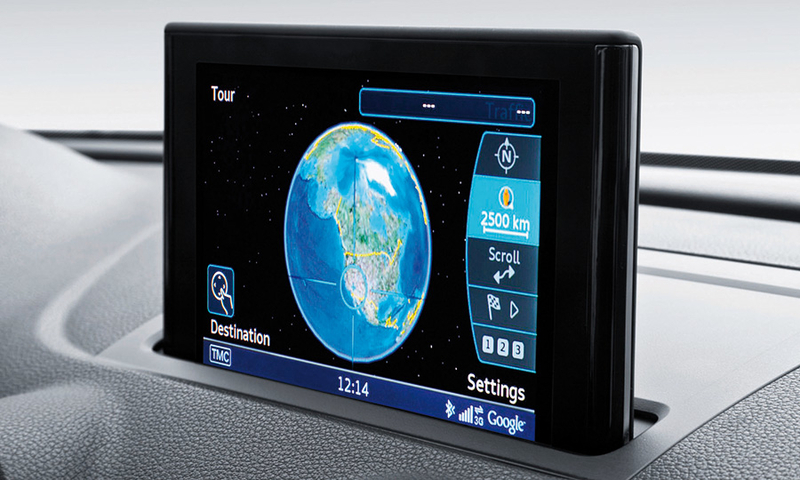 Audi has blazed ahead of many rivals by offering built-in Internet access in nearly all of its cars. 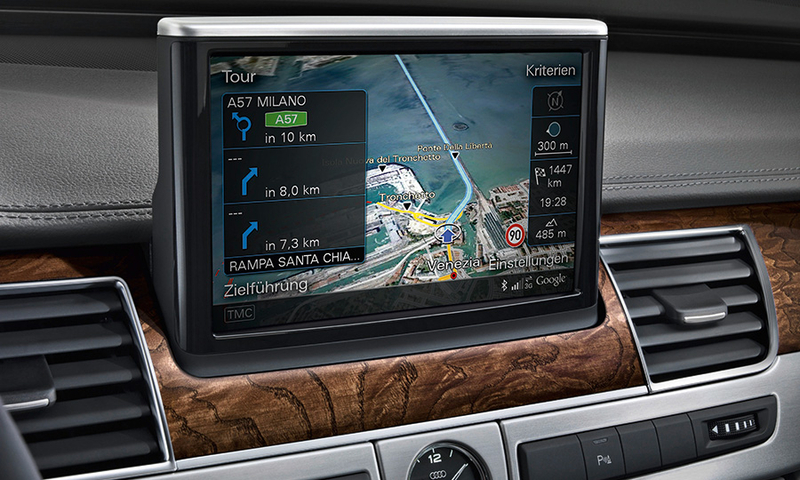 One of the main perks of the Audi Connect service is Google Earth.With the popular Internet mapping software, drivers can see a lush 3D image of their immediate surroundings. Or, for that “citizen of the world” feel, they can zoom out and see their current position in the context of the United States, North America or Earth itself. But under NHTSA's guidelines, those sorts of “photorealistic images, satellite images, or three-dimensional images” are considered too alluring for a straying eye. (The two-dimensional maps used in most navigation systems are allowed.) Audi must now decide whether to strip one of the most distinctive features of Audi Connect. 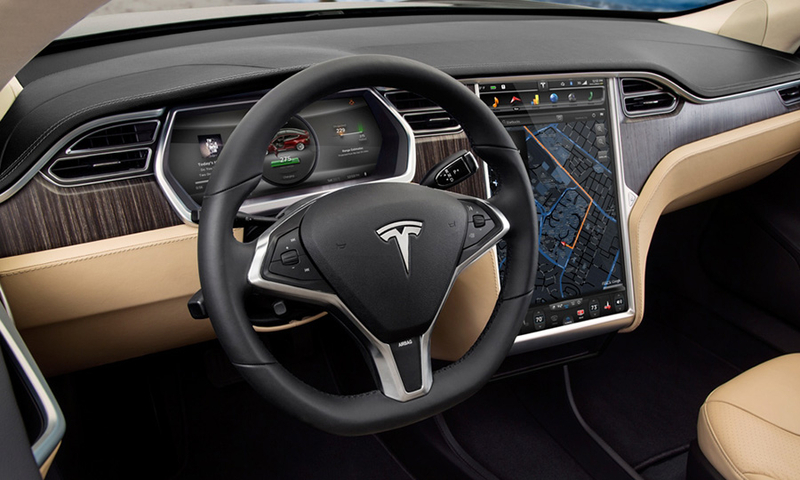 Facing a similar choice is Tesla, which uses Google Maps software in the Model S sedan and lets drivers use a satellite image mode for navigation. With that carefully chosen wording, the agency effectively gave the go-ahead to one of Mercedes-Benz's most prized features: the Splitview screen, which shows different content to the driver and the person riding shotgun. Developed jointly with supplier Bosch and first offered in 2009, the $710 Splitview feature is currently exclusive to the top-of-the-line S-class sedan and CL-class coupe. 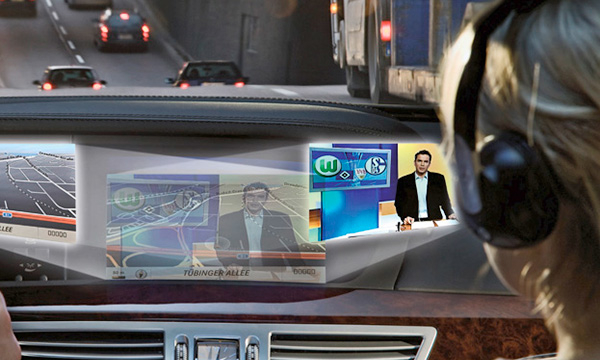 Other car companies, such as Nissan, have lobbied NHTSA to endorse split screens, suggesting that Mercedes may have some company in the near future and that front-seat passengers may soon have something more entertaining to watch than the road ahead. 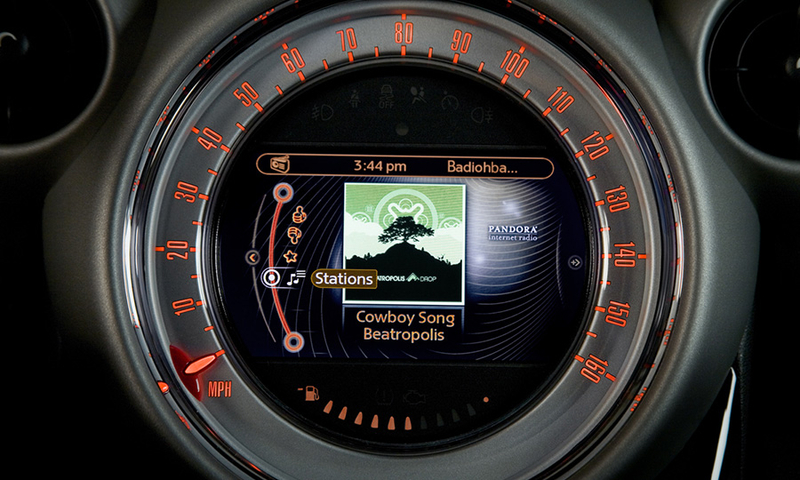 Pandora, the music-streaming service, has found its way into about two dozen brands of cars since it inked a deal with Ford Motor Co. in 2010. 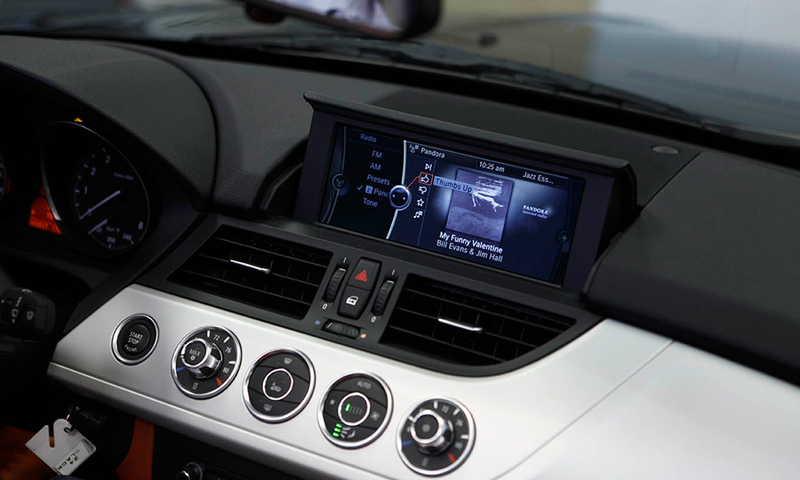 But thanks to NHTSA's distracted-driving guidelines, automakers may have to rethink how they present a key feature of the service: album art.At first, NHTSA suggested that navigation screens in cars should not display any images that are unrelated to driving. Automakers protested, saying that scrolling through album art and faces of phone contacts could be more intuitive than reading lines of text and thus reduce driver distraction. Ultimately, the agency backed down. The final guidelines permit images as long as they are “automatically extinguished” once a choice is made.Because when you're done selecting the Beatles' “Abbey Road,” you should be watching out for real pedestrians at the crosswalk.